RETAIN is a new and innovative bone regeneration product. 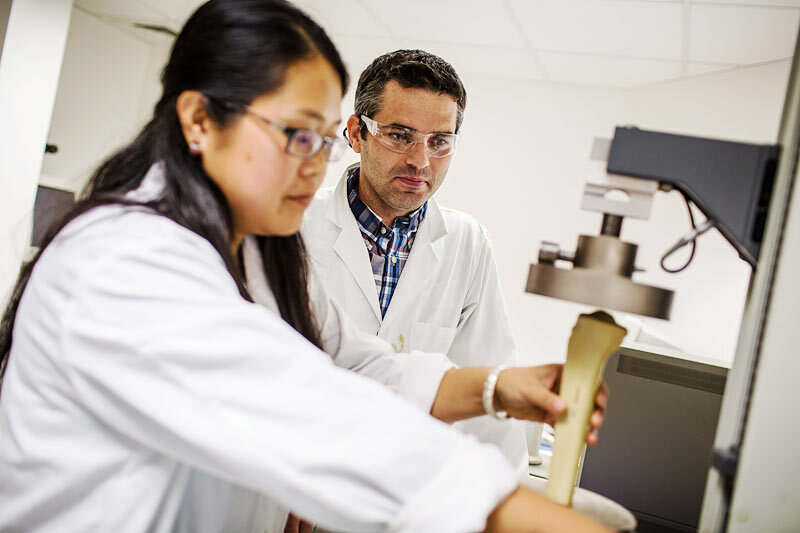 It has combined best in class approaches from natural polymers, ceramics and proteins combinations to develop a BGS that controls the delivery and release of the proteins throughout the healing phase of a fracture. This enables the use of low doses of bone morphogenetic proteins to be administered to achieve bone regeneration. This may enable the treatment to be used in patients where high dose growth factor treatments are not recommended, such as children. The technology is based on UV crosslinking active proteins into the structure of an osteoconductive composite structure. In doing so the release of the proteins is controlled by the degradation of the polymeric phase of the composite which is controlled by the levelling of crosslinking.